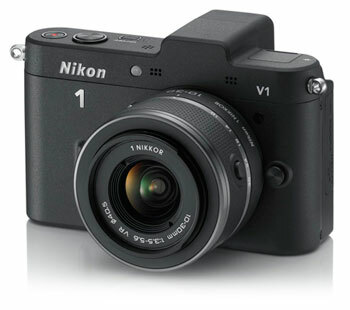 Judging by internet chatter, most people are not impressed by the new Nikon 1 system. Not on paper, anyway. Personally, I was very disappointed by Nikon's choice of a small sensor size (13.2 x 8.8 mm) compared to both entry level DSLRs and other compact system cameras. As a news photographer, I consider high ISO performance to be one of the most important features in any camera. 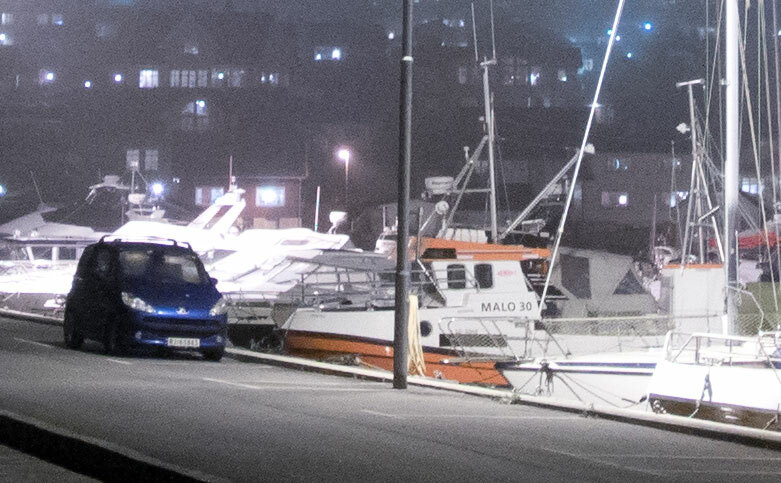 Generally speaking, larger sensors = better high ISO quality. 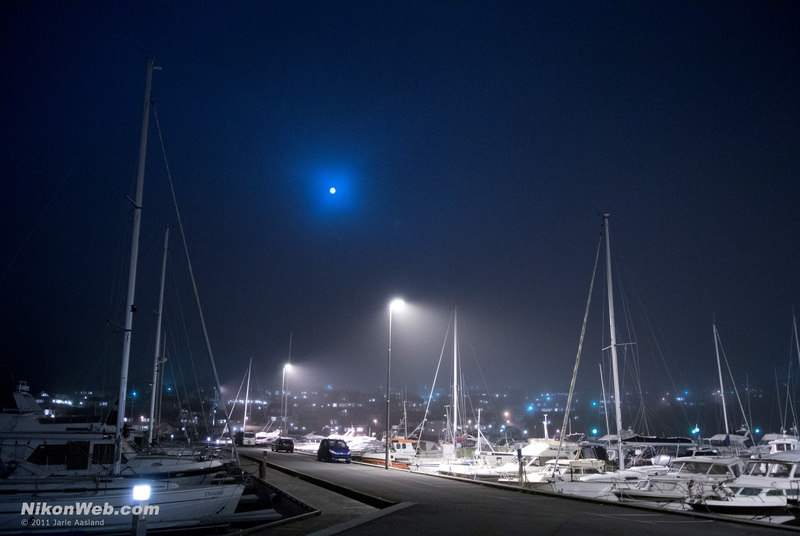 So, I was not too thrilled when I set out to test a Nikon V1 with a 10-30mm f/3.5 - 5.6 lens. I have not spent enough time with the camera to write a comprehensive review or draw any definite conclusions. The following is just a few observations and first impressions. For technical details and specifications you should follow the links below. The camera feels solid and surprisingly heavy, considering the relatively small size. I find it easy to carry, hold and handle. I used my loaner camera with a simple handstrap from an old Fujifilm F30. Unfortunately, the camera/lens combination is still too big to be comfortably put in most pockets. I like the camera design, but I'm not too thrilled about the lenses. The 10-30mm zoom lens has an unfamiliar lock/sleep position and a lock button. Can't decide if it's clever or stupid, but I'm leaning toward the latter. I'm sure Nikon made the 1 series lens(es) as small as they can, but the zooms are still too big for my taste. There's little point in a small camera with a big lens. In fact, lens size is my biggest single issue with all "compact system cameras". I want small lenses for my small cameras. With a big lens I can just as well bring a DSLR camera. I'm still talking about shape and size. Optically, I have nothing to complain about. The electronic viewfinder (EVF) is pretty nice, but not impressive. Generally speaking, I prefer optical viewfinders (OVF), but I admit using the EVF on my Fujifilm X100 a lot more than expected. I'd prefer to use the V1's viewfinder at all times, but annoyingly the viewfinder turns off every time you take the camera away from your eye (the LCD monitor turns on instead - another annoyance). Yes, you can trick the camera by covering up the left side of the viewfinder (see Rob Galbraith's article below), but this should be a menu setting. I expect to see this in a future firmware upgrade. Auto focus is remarkably fast and accurate, especially compared to the slow (but otherwise impressive) Fujifilm X100, my current favourite compact camera. In fact, it feels just as good as your average entry level DSLR. Kudos, Nikon. Having used a wide range of Nikon cameras over the years, I was surprised how hard it was to figure out some of the basic camera controls. Maybe it's just me. No big deal once you figure out how it works, but I'm used to pick up any camera and start shooting. At least if it's a Nikon. Programmed Auto (P): exposures are changed with the zoom rocker up/down. Shutter priority (S): shutter speed is changed with the zoom rocker up/down. Aperture priority (A): aperture is changed with the zoom rocker up/down. Manual (M): shutter speed is changed with the zoom rocker up/down, and aperture is changed by rotating the multi selector. Image quality is very good at lower ISOs, but less impressive at higher settings (it's still pretty decent - just not compared to larger sensor cameras). No surprises there. The 10-30mm seems like a good lens, but f/3.5 to 5.6 doesn't impress anyone. For low light use, a slow lens and limited high ISO performance makes the V1 less than perfect. Hopefully, Nikon will release some fast 1 Nikkor prime lenses soon. Right now, the closest thing is the 27mm equivalent 10mm f/2.8. Ideally, I'd like to see a couple of fast f/2 or even f/1.4 lenses. For some reason, the ISO menu has settings for auto ISO in the 100-800 (A800) and 100-3200 (A3200) range, but lacks a similar setting for 100-1600 ISO. There should be an A1600 setting in the next firmware version. Also, I couldn't find a setting for the lowest acceptable shutter speed. Admittedly, I didn't look very hard (and no, I didn't check the manual). The V1 can capture both JPEG and NEF (raw) files. The NEF files can be opened using the latest beta release of Adobe Camera Raw. Again, image quality is very good at lower ISOs. Both sensor and lens seems to perform flawlessly. I didn't notice any performance penalty when shooting NEF + JPEG compared to JPEG only. I haven't properly tested the V1's video capabilities, but the quick tests I did looked fine. Unfortunately, the small sensor won't give you the narrow depth of field you can achieve when shooting video (or still photos) with a DSLR or another large sensor camera. * My personal dream camera would be a full frame DSLR with a Nikon FE/FM-like body. That would really be something!